So another year over.....AND A NEW ONE JUST BEGUN now before I break out into Christmas karaoke... 2013 is ready to bid us farewell so I'm going to share with you my highlights of this year in a slightly cheesy fashion! Hooray!!! So in many ways 2013 has been the biggest year of my life!! Mainly in terms of growing up! I'm not going to just go through the months in order talking about what happened well because that would be the obvious thing to do haha. So I'm gonna start with the fact I turned 16 this year! Everyone growing up has that age where they think that age means they will be all grown up for me that is 16! With that in mind turning 16 was a bit disappointing haha! In the Autumn I then started to make a small name for myself my grandad called me an "entrepreneur" haha I am exaggerating really but I now am a regular babysitter for a few family's, I clean for various people regular then most excitingly and one of my biggest achievements of the year... after applying for over 30 jobs I finally had an interview and managed to somehow get myself a small weekend job for the christmas season in retail so I managed start earning proper money and I got some much needed experience! This job also meant I had to open a bank account which is also all very exciting! The final big thing that happened this year was this blog! :) it all happened very suddenly and it was very rushed. I will need to take a step back at one point in the near future and sort my blog design, learn how to edit etc! But so far I am enjoying it, having somewhere to write reviews and my thoughts on anything from the seasons to ridiculously priced clothes haha! I am taking part in the #2014bloggerchallenge and have made a few friends and I am already proud of my followers and page views so the future for A Fashion Oddity is looking bright! 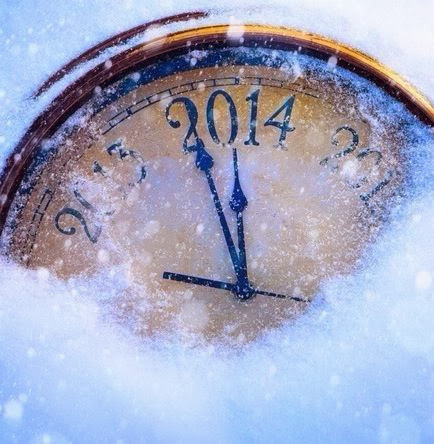 Happy new year and best wishes to you all! How cute are these slippers man? A pretty little floral owl cushion from my boyfriends mum, beautiful mirror, floral travel mug and Cath Kidson Rose scented draw liners! More stocking fillers, Santa lip scrub from lush (also a lush review coming soon) , the prettiest socks i have ever seen, Ted Baker lip gloss and nail varnish set in Lovely Lindy hop, Biscuit top trumps, Fearne mirror, notebook, Tissues and a little scented stamp cushion to hang on a handle on my drawer! A candle in a teacup, an ice cream candle, my first yankee candle in Snowflake Cookie and a little pink candle! Also one of my main presents from my parents the vera wang lovestruck perfume! I finally got hold of It by Alexa Chung and Billy and Me by Gi Fletcher but more importantly PETER PAN a beautiful hardback penguin copy! Yayaya! My other half and his family understand how much i have been wanting this book! I asked near enough every Bookshop owner in Hay if they hand a copy of Peter Pan in store couldn't find it anywhere! My oh my thank you santa! I also had ? Dear Fashion Diary" which I hadn't heard of before but its amazing, it may be aimed at younger girls but its brilliant its like a fashion lovers version on the Wreck this journal craze! I will talk more on this amazing book another time! Finally this present I was not expecting from my grandparents but ever since I read the amazing Tanya Burr's post on homemade soup I wanted to get my self a hand blender! So apart from one cushion, some joke presents such a Wallace and Gromit shaped pasta from my awesome uncle and of course lots and lots of chocolates that's what I had for christmas this year! I am soo so happy with everything and I hope you all had a great christmas and let me in the comments some off the stuff you had! Considering the show ended on Sunday I'm sorry I have been so late with this! I voted for David being a royak weksh fashion designer I just had to and henwas so fabulous but I'm also soo glad Kian won mainly because I'm in love with him! His wife is a very lucky lady!!! 1) Big congratulations! You won last week’s bush tucker trial. Your reward is the chance to create your own perfume. What ingredients/scents would you use? I would defo make a fruity scent, mainly involving berries! 2) Around the camp fire you’re all sharing tips. 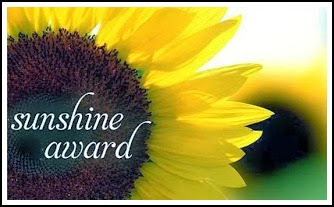 What is the best advice you can give someone to keep your skin healthy? WATER! Drink lots of water. 3) How do you think your camp mates would describe you? Bubbly and friendly! 4) You’re missing your family and friends so to bring a bit of comfort to the jungle you are given the opportunity to send one twitter message (max 140 characters). Who would you text and what would you say? Probably my mum and I'd say something like.. I hope everyone is well, I'm doing just fine I'll see you all soon love you! 5) You’ve made it to the final two and are awarded the classic three course meal. What would you choose for starter, main and dessert? Hmmm for starter I'd have a chicken selection with chicken bites, wings etc and a BBQ dip, for main I don't know maybe BBQ pulled pork and jack cheese wraps and desert defo a black forest cake! 6) You’re out of the jungle and the luxury hotel awaits! What will be the first thing you will do? Have a hug from my family and eat! 7) Now you’re out of the jungle and have all your luxuries back, what would be one product you have lived without and could continue to live without? Hand sanitizer hopefully I will have learnt that getting germs is okay! 8) Challenge – you have the choice of setting the challenge. What is your challenge and to whom? I'd give Amy an eating challenge purely because I kinda think she deserves it! Sorry and Amy fans out there! 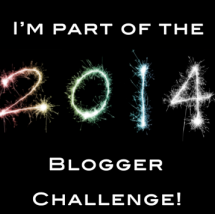 I just thought I would quickly let you know that I am taking part in The Blogger Challenge 2014! This is a challenge sent up by the awesome Gabby from Another Girly Blog. The challenge is open to anyone, it means that twice a month you will be given a topic to write about and you will have to all do a post on that topic! You can find Gabby's original post about it here. I am very excited to take part in the challenge it will give me set posts to focus on and a better blogging schedule but also I will get to blog and learn about things I would never normally blog about and because I am very sad this does excite me! Why I still shop in the children's departments (sometimes)! I have never stopped shopping in the children's departments. I am an average height, size 8 16 year old so granted this post wont apply to everyone. Either way the children's departments are always cheaper and often the clothes are soo similar to the woman's wear I always like to have a little check as to what I can get for my money. This dress from H&M is probably one of my favourite dresses. It looks amazing with a blazer and heels for a meal or on holiday. The colours are so bright without being too tropical and the pattern is floral without being too girlie which is perfect for me. (From Zara girls) I wear these jeans soo much. They are so comfy and stylish. There is a biker feel to them with the detailing on the knee and there is a zip on the ankles. (From H&M) I adore this tartan tutu is so different and on trend this season. (From Next) Once again this is such a unique denim skirt. It has a tulip shape to it and such a beautiful floral pattern. I strongly recommend Zara girls however they only go up to a size 14+ but this is very generous, as you cans see the above jeans still fit me perfectly. My second recommendation is Next so much of there collection is always on trend and follows very well in line with the adults, in store they only go up to age 14 but online its age 16. Let me know in the comments if you still have any clothes from a children's collection or anything? I was recently nominated by the lovely Zoe from beautypiex for the sunshine award, this means a lot to me because my blog is so small!! I'm 16 and my date of birth is 04/05/97. I'm from a small town in south Wales. I have literally no piercings , nope not even my ear lobes! Italy is my favourite country in the world (that I've been to) so much so that when I was little I dreamed of studying art in Italy and marrying an Italian man one day hahaha!!! Quality time with my family is so important to me. I'm not a big animal lover! I love music, mainly old music and no certain genre! I go from Billy Joel, Taylor Swift to A day to Remember! 1. What is your best feature? Personally I think its my eyes! 2. What is your natural hair colour? My hair now! I have never dyed my hair at all! 4. Favourite moisturiser? Well at the moment I'm using Cliniques dramatically different moisturizing lotion which is amazing so that! 7. Tea or coffee? Both but tea overall! 9. Favourite range of makeup brushes? Not sure! I'm not a make up brush junkie need to get some more, please recommend any good value sets in the comments but I am hoping to get the Fearne Cotton set from boots for Christmas called "Fearne brush up your image"
10. Favourite winter clothing item? Definitely just a plane jumper! 11. What are your three favourite blogs you like reading? In the frow, pearls and poodles and A thrifty Mrs.
1. What's your all time favourite mascara? 3. What's the worst thing about blogging? 4. What's your favourite high end product? 5. What's your favourite clothes shop? 6. What's your best healthy lifestyle tip? 7. What's your favourite candle? 9. What's your go to perfume? 10. What's your favourite thing about Christmas? Thanks for reading! If you decide to take part in the questions please tweet me @afashionoddity your post! Thanks! I'm a beauty blogger get me out of here! Week 2! 1) Firstly congratulations! You won last week’s bush tucker trial and your reward is a makeover from a professional make-up artist. What look would you choose and why? Very natural with an eyeliner flick! 2) It’s time to wash – ok so it’s not in a luxury shower or a bath but you do get a choice of one soap/shower gel to use. What would you choose and why? Lush's honey i washed the kids soap and a ted baker body wash! 4) It can get a little boring in the jungle and you’re feeling sluggish. What one fitness exercise would you do? I woudnt but probably sit ups! 5) How would you create your own jungle fashion style? Definitely bandanas! 6) What is your favourite Australian product and why? I dont know any, are burts bees australian? 8) Challenge – bush tucker trial number 2, ‘the jungle hair & beauty salon’. You’re sitting under a vintage hair dryer and instead of hot air being blasted out you are greeted by 10,000 creepy crawlies. Which creepy crawlies would you detest the most and which ones wouldn’t you mind? Hmm I'm not massively scared of any but then I don't like any so I don't know!